When it comes to fruits and vegetables, locally grown always tastes best. Our farm takes a great deal of pride in what we grow, and all our visitors and customers know the difference. There is a connection between our farm, its produce, and the community. We sow all our seeds by hand in greenhouses and then transplant by hand in our fields. All of our harvesting is done by hand as well. This allows us to adhere to a strict set of standards that permits us to truly know what we are growing and when it is ready for our customers. All of the crops we offer are far superior to what is offered in most grocery stores. All you need do is taste one of the many fruits and vegetables from our farm and you will know. 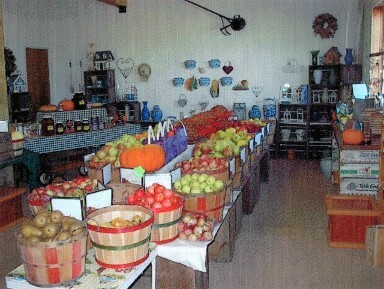 Producing thousands of pounds of produce throughout the season we sell only the best quality fruits and vegetables. Known for our excellent tomatoes, customers come from as far away as Seattle when we open our fields for picking. This year we hope to add bell peppers and eggplant to our u-pick patch. Contact us in Cornelius, Oregon, to ask about the full variety of fresh produce we sell.